Our Lernen-Reise: Preparing for Nursery! 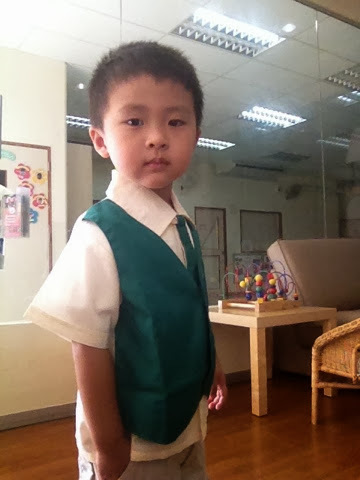 Brought him to Kinderland to purchase school uniform for Nursery yesterday. 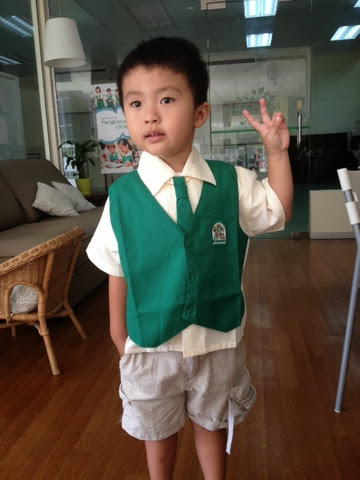 Did some preparation, telling him the uniform changed coz he is a bigger boy now, he has wear proper uniform like some of the gor-gors in the school. He agreed and happily tried on sizes. We are really happy all his Pre-Nursery teachers would be teaching them again. They really like the teachers, that's really important for us.